Anyone actually scratch mineral glass? Thread: Anyone actually scratch mineral glass? Re: Anyone actually scratch mineral glass? mineral glass scratches quite easily.....bump it against a counter top at work, and it scratches, bump it against anything sharp or rough, it scratches. if you are scared of scratching, i suggest going with a watch with sapphire glass. i've never had any problems with sapphire glass scratching, and i bang my watches up! Has anyone here actually scratched a mineral glass watch crystal? It just doesnt seem very probable, I wore a Timex with an acrylic face for a good few years when I was a kid, and it only had a couple scratches on it when I finally retired it. So if you have stories about scratching mineral glass (or shattering sapphire), post em up! after 10 years of the beach every summer in the surf and sand with my son, my seiko diver has numerous scratches on the crystal, my old tag 2000 with saphire does not. Scratch resistance is also a function of the watch design too. Watches with a flat, recessed crystal won't scratch nearly as easily as a watch with a domed crystal. I've scratched mineral crystal, but never saffire. I know both are supposed to be harder than most anything else. Doorway bumping seems to be the worst offender, even though most doorways are wood! Equally frustrating is how easily steel bracelets scratch, but one can't obsess about these things or it'll drive you crazy. Oh yeah! I have a Sieko chrono that I've scratched the heck out of, twice. Sent it off to get a new crystal, costing about $80 as I recall, then proceeded to duplicate the exact scratch on the crystal within a month! That was about 6 months ago. Just the other day, scratched it again! I refuse to spend another $80, so it's now my weekend beater. I agree, banging it against almost anything seems to produce a scratch. It's my only (and last!) mineral crystal, and none of my sapphires have a mark on them. I have scratched the crystal of just about every mineral glass watch I have ever owned. Citizen seems especially prone and I have actually chipped the edge of one. I don't even remember knocking it on anything. Saphire is great for scratch resistance but like glass it will break. 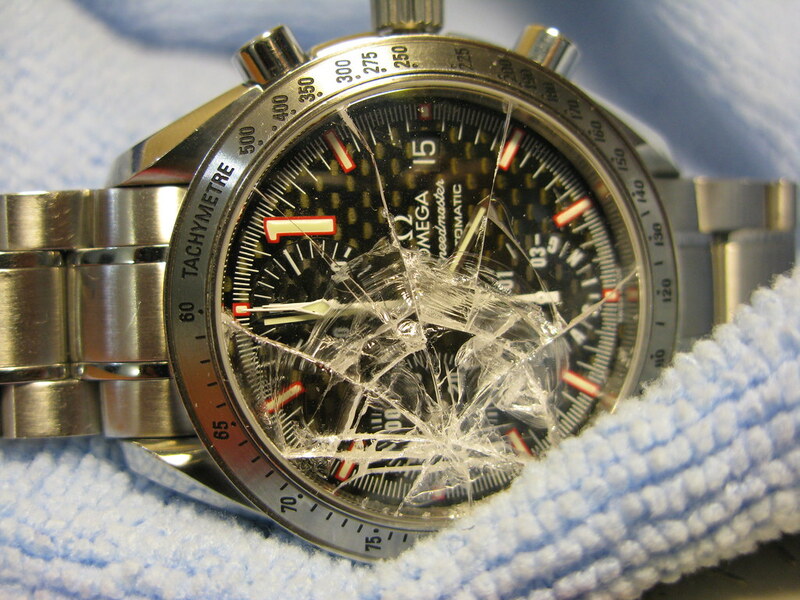 Just remember to put your watch on over a soft object rather than a tile floor. I'm sure I've put a scratch or two on some of my watches with mineral crystals. While I try to take care of my watches I don't baby them. They're meant to be worn. I have purchased pre-owned watches with scratches on the mineral crystals. Usually it's just a small scratch or two, but I did pick up one very well worn watch with numerous scratches. Got a new crystal put in and it's as good as new now. Mineral crystal can and do scratch. Yep - Breitling superocean-colt -mk1 (1996). They quickly upgraded to Sapphire but I got the 1st model and the crystal scratched deeply! Last edited by Kyle L; June 14th, 2009 at 23:11.